Princess' Paper Projects: Kraftin' Kimmie Stamps Super Secret Product Launch!!! 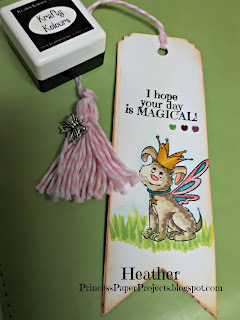 Kraftin' Kimmie Stamps Super Secret Product Launch!!! Good morning!!! It's FINALLY here and I can share the exciting news. Today I am joining the Krafty girls to help launch the new product~ any guesses to what it could be? Here are the exact words from the Kraftin' Kimmie Blog. We've got some super exciting NEWS to share with you today! You may have heard that we've been working on something top secret for the last few months and it's FINALLY time that we can share it with everyone!!! - These beauties are acid free, archival and non-fading! 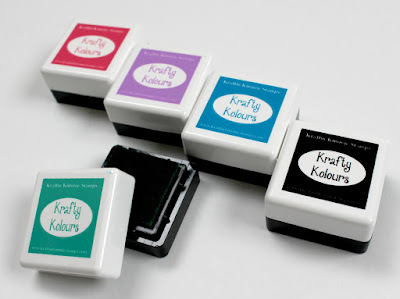 - They have a raised felt pad that let you stamp any size stamp! - They give a crisp, bright, non-bleeding impression! - They come in full sized pads, mini cubes and ink refills! Today we are having a big Launch Party over on the Krafty Friends Facebook page with the Krafty Girls and Special Krafty Guests sharing information about the new products, sharing tons of new projects, live videos, youtube videos, we're doing giveaways, challenges and lots more!! You'll be able to purchase all the large ink pads, mini cubes and refills individually OR in sets at a small discount! PLUS there are TWO brand NEW stamp sets that are from the May release and will ONLY be released as part of the special kits! ALSO I've chosen some amazing coordinating Bazzill Bling cardstocks to match the coloured inks and you'll be able to scoop those up as well!! SO exciting! So be sure to pop into the group today or hang out with us for all the fun all day long!! Let's get INKY!!! Now the kits sold out so quickly that I was only able to get the one containing the black mini cube so along with you I will be purchasing the other kolours today as well:) The black ink is amazing!!! 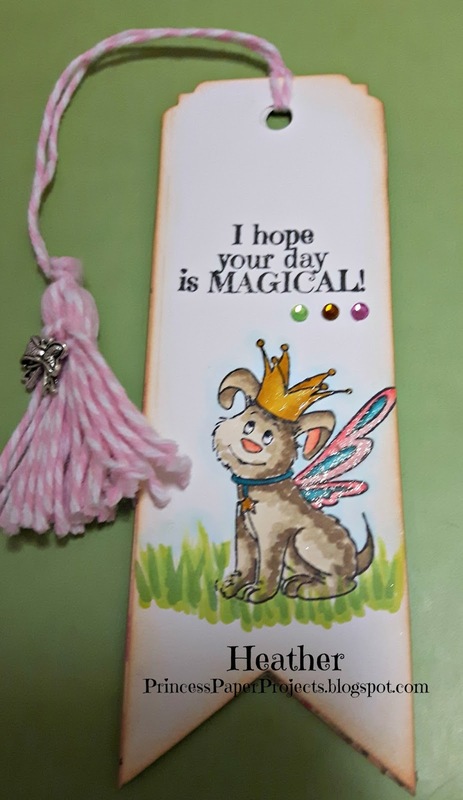 It stands up so well to use to colour with my Copics and stamps sentiments so crisply. 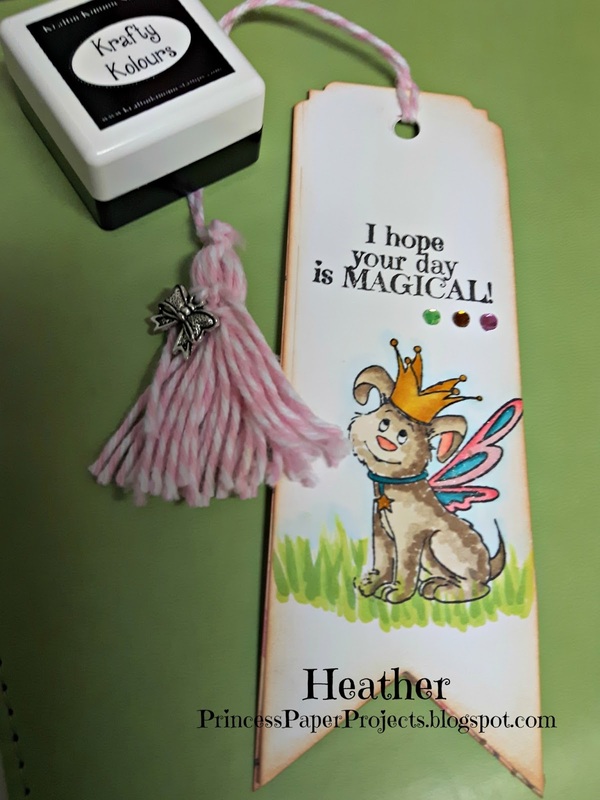 Here's my first project for today, a bookmark, featuring the new ink and the Magical Friends stamp set. So, now you need to head on over HERE to the Krafty Facebook group and join in on the party today. And please come back this afternoon as I have one more project to share. Hope your weekend is shaping up great. I know mine is! !